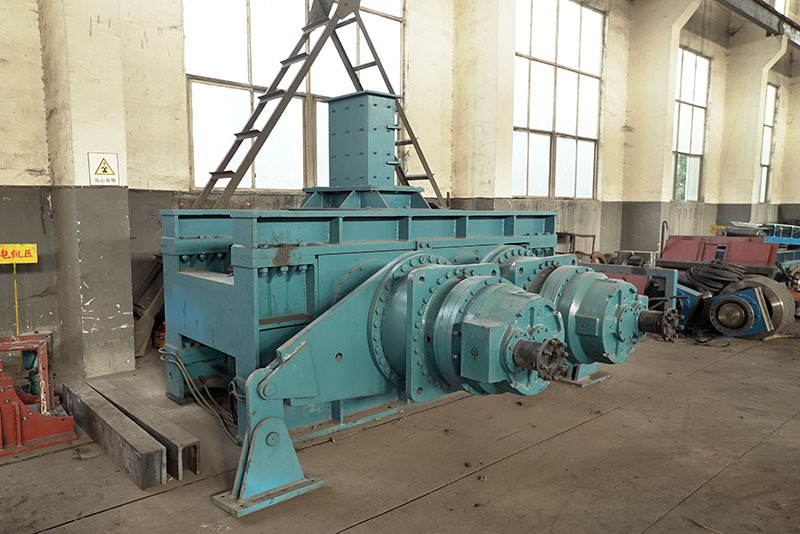 The high-pressure roller mill can be broken as the third stage after being crushed, or it can be used as the fourth-stage superfine operation after the fine crushing operation. The high-pressure roller grinding process can be divided into three types: open-circuit crushing, edge material return crushing and vibrating screen closed-circuit crushing. The high-pressure roller mill open-circuit crushing process refers to the high-pressure roller mill product directly entering the next working process, and no longer returns to the crushing process of the high-pressure roller mill. The open roll product can be directly fed into the ball mill for grinding, or it can be classified first, and the coarse product enters the ball mill for grinding. This process has obvious advantages when the fine powder content of the rolled product is high. The advantage of the open circuit crushing process is that the process flow is simple and smooth, the system is stable, and the operation and management are convenient. However, due to the non-grading operation, the product granularity is uneven, and the rolled product will be mixed with a little large particle material, which is bad for subsequent grinding. Impact, the actual operation of the plant can be added to the appropriate amount of large balls to alleviate such problems. The high-pressure roller mill edge material returning crushing process refers to the process in which the high-pressure roller grinding intermediate product directly enters the next working process, and the material is returned to the high-pressure roller mill to be broken again. After rolling, the intermediate product can directly enter the ball mill for grinding, or it can be classified first, and the coarse product enters the ball mill for grinding. This process has obvious advantages when the fine powder content of the rolled product is high. The process also has the advantages of simple and smooth process, stable system and convenient operation and management. The proportion of edge material can be adjusted within the range of 0 to 50%, but it is not possible to return all the coarse minerals that have not been rolled by the high pressure roller mill. . Compared with the open circuit system configuration, the proportion of coarse-grained products has dropped sharply, but the crushing is still incomplete. There are also a lot of large-grain materials in the rolled products, which will have adverse effects on subsequent grinding. The high-pressure roller grinding closed-circuit crushing process is divided into dry screening and wet screening according to the different classification methods. The dry screening of the high-pressure roller mill requires a dispersing machine to disperse the cake of the roller press, otherwise the screening efficiency will be greatly reduced. In addition, since the whole process adopts dry grinding, dry screening and dry sorting, the moisture content of the material is required to be high, and it is not suitable to treat materials with high water content. At the same time, attention should be paid to dustproof work, and dust removal is required. Equipment, etc. The process is mainly applied to non-metallic minerals and ore containing less mud, as well as water-deficient and arid areas.